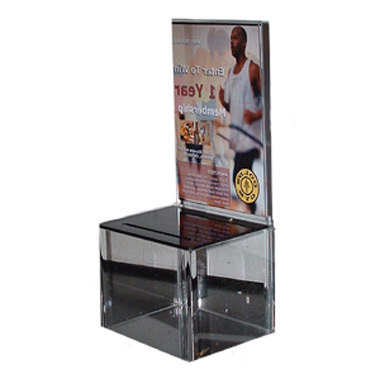 6 acrylic lead boxes – Designed for optimum visibility & great looks, our acrylic boxes send a positive message to the potential client by showing off a high quality look. 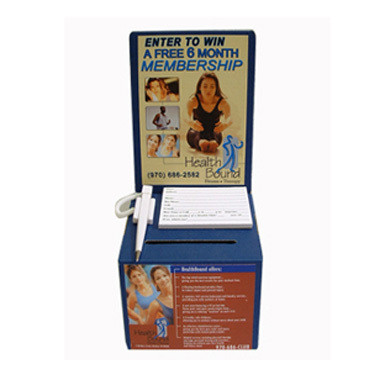 Acrylic boxes will generally gather more leads than other types of boxes.These boxes make an attractive mini-billboard in any location. Placing them is easier because of their nice appeal to prospective business owners and managers. Boxes come complete with lock and 2 keys. 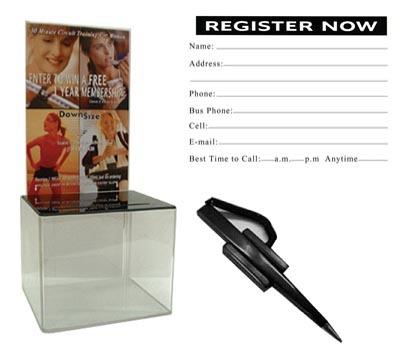 6 lead box pens – Black pen and ink with flexible coil and self-adhesive pad that attaches anywhere on the box. 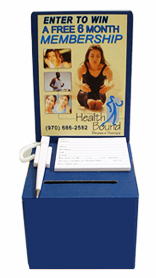 6 lead box entry pads – Suitable for any multiple users including gyms, health clubs, fitness centres, martial arts, personal trainers, yoga, Pilates and other fitness businesses. 100 sheets per pad. 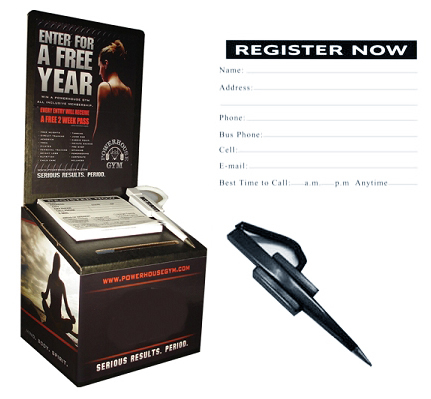 Each pad collects Name, Address, Email, Telephone, Best Time To Call and Age details. Postage within 2-4 business days via Australia Post.